Hi everyone! After a week’s vacation (to lovely Las Vegas, Nevada — post pending! It involves Celine Dion, drinks on the 64th floor, and taking a cab through the In-N-Out burger drive-through. This one’s gonna be epic, kids. ), I’m back and ready to mangia with you! Here’s to my March Blogging Resolution: To recreate my favorite goodies and childhood dishes from scratch, with a healthy twist. But I’ve noticed that a lot of commercial granola bars have … a LOT of sugar. Like, 20% of your daily value — whoa! And while I’m not jumping on the “Oh my gosh, not sugar: Isn’t it POISON?? ?” bandwagon / train / other vehicle of transportation, I’m still aiming cut my consumption of the sweet stuff. 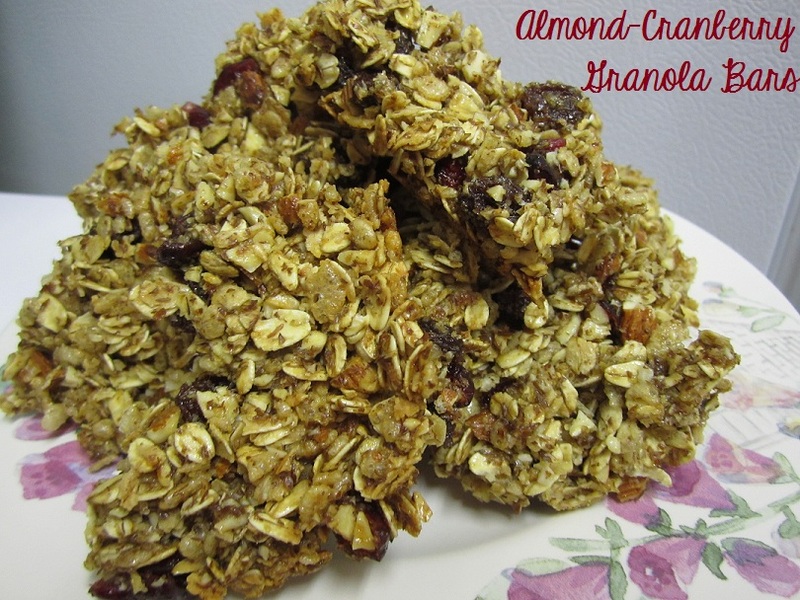 These Almond Cranberry Granola Bars get their sweetness from honey, while the dried cranberries and chopped almonds add substance and a fruity tang. Yum! Enjoy them as much as I did — THT and I consumed that entire plate within about 48 hours. Preheat the oven to 350° F. Line a 13″×9″ baking pan with foil and spray liberally with Pam or other cooking spray. Toss the oats on a baking sheet and bake for 10 to 15 minutes, stirring once or twice, until browned. 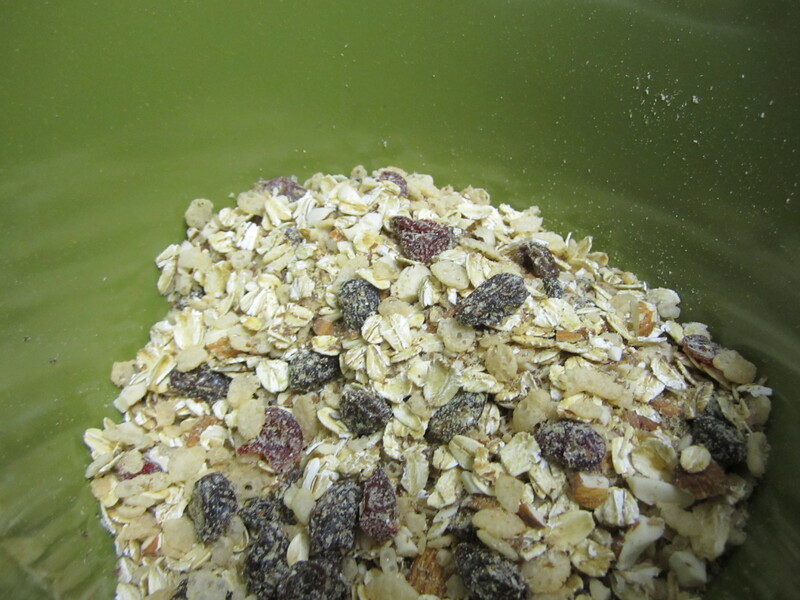 Remove the oats and transfer to a large mixing bowl. Stir in almonds, Rice Krispies & dried fruit. Reduce the oven temperature to 300° F.
Combine the butter, honey, brown sugar, vanilla extract and salt in a small saucepan. Bring to a boil over medium heat. Cook and stir for about 1 minute, then pour over the toasted oatmeal mixture. Mix thoroughly with a wooden spoon. Pour the mixture into the prepared pan. 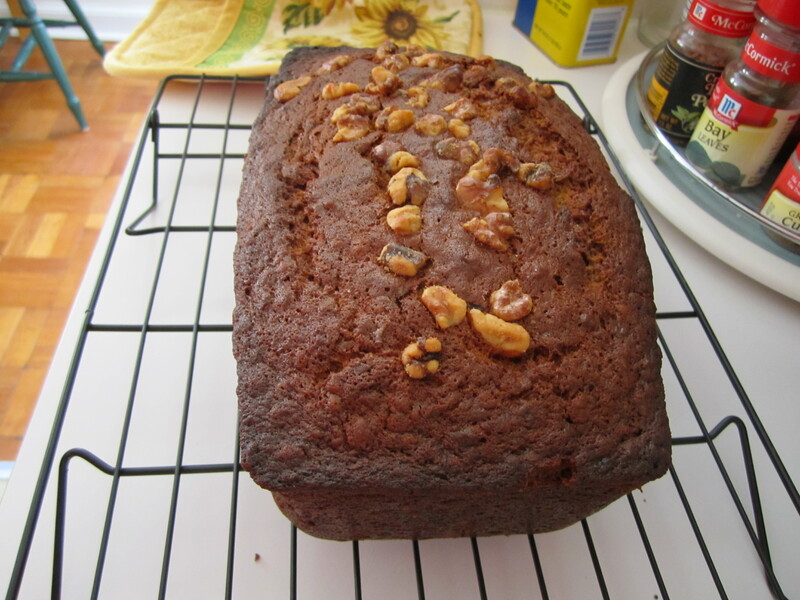 Press the mixture firmly and evenly into the pan; you may need to wet your fingers slightly with water. Bake for 20-25 minutes, or until the bars appear to be golden brown. Cool for about 2 hours before cutting into individual bars. Mmm! So chewy and good! Enjoy these bad boys, as hopefully the first of several March “Make-It-From-Scratch” Madness recipes and dishes. 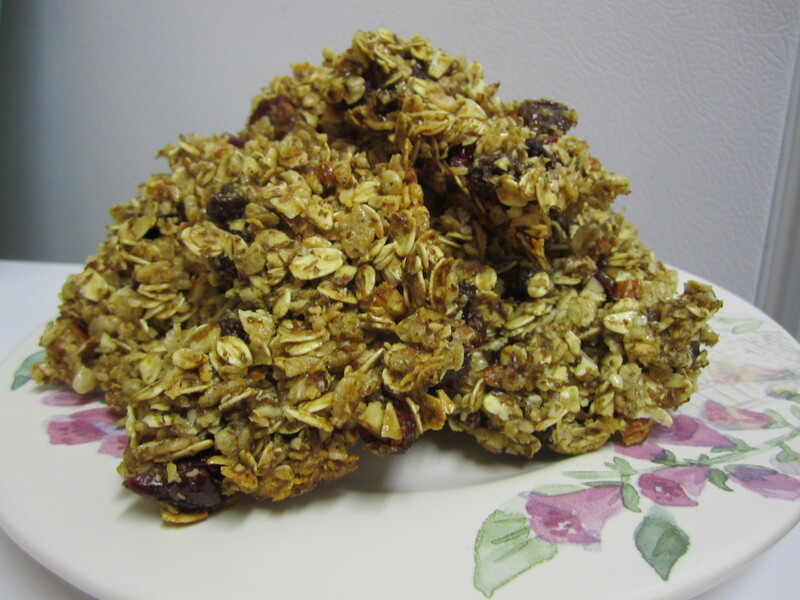 Have all y’all ever made your own granola or granola bars? How’d they turn out? If you’ve ever found yourself in an Indian restaurant (or at the receiving end of some delectable takeout), you’ve inevitably tried some of India’s famous breads. 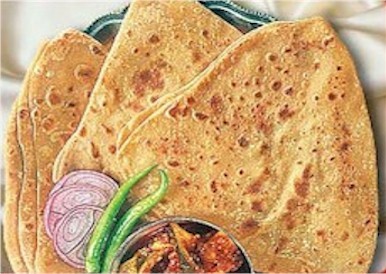 Whether for dipping, scooping, sopping or munching, breads like naan and chapatis are simple and delicious. They’re perfect for stew-type cuisines like Dal or Aloo Gobhi from the Northern part of the country, or Western India’s Dum Aaloo. But for folks who aren’t as familiar with Indian food — which, like any great world cuisine, can vary depending on its region of origin — you might be asking yourself: What the flibbertigibbet are naan and chapatis? Leave it to GKG for the answer. Like many of you, I’m kind of maniacally mildly obsessed with Pinterest. According to something I saw at D.C.’s Newseum recently, Pinterest has shot up in popularity since it first began in 2010, to the point where it’s the 3rd most popular social networking site on the web. Sharing links among friends, colleagues & friendly strangers + great pictures = success! Who knew? But in the spirit of John and Sherry’s (and Katie Bower’s) recent challenge on Young House Love, I’ve decided to stop Pinning and start DOING – taking on a series of mini Pinterest Challenges for myself! This will be the first in a few­ posts where I take recipes I’ve pinned in the virtual world and try them out in my real life kitchen. Pinterest has so many creative and helpful ideas for a budding chef – time to see how well they hold up! 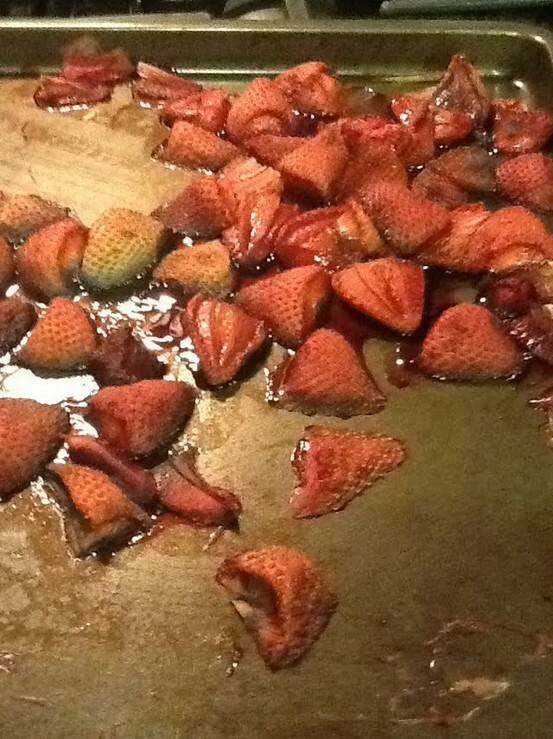 Image sourced from the hilarious www.pinterestfail.com. Oy vey. Verdict? 3 out of 5 Pinterest P’s. The recipe directions were occasionally a bit vague, and I definitely should have added more butter, but the end result was flaky and sweet. Not a bad addition to breakfast! I’ve rewritten the recipe below, with a few minor adjustments in clarity. Next time you have a breakfast or brunch to host, try this out! 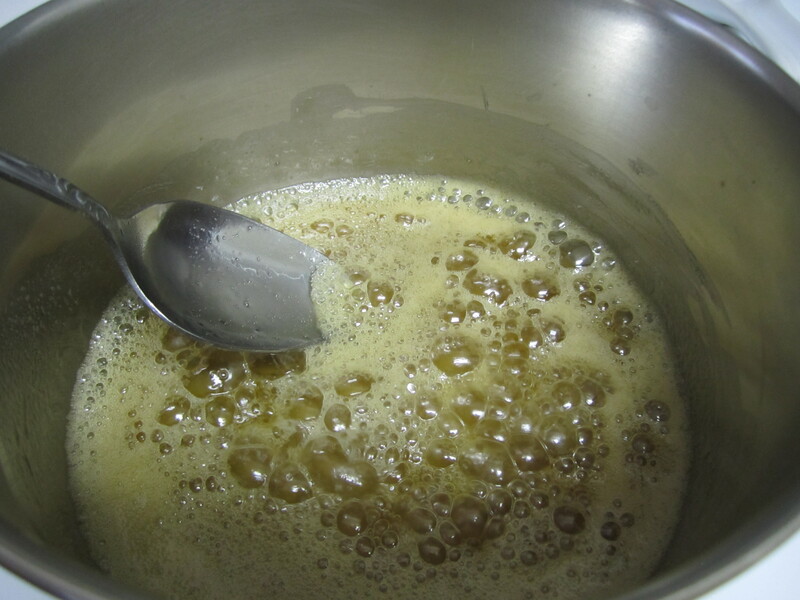 Mix yeast and sugar with milk; let it sit for 5 minutes, or the yeast bubbles. Add beaten egg yolk, melted butter, flour and salt. Knead the dough for 6-8 minutes, finally shaping it into a ball. Place ball of dough in a large, greased / sprayed bowl, then cover with a kitchen towel and allow to rise until doubled in size (about 1 hour). Preheat oven to 400 degrees Fahrenheit. Dust work surface with flour, and roll dough out to a round, flat disk (kind of like a pie crust) with a thickness of about 1/4 to 1/2 inch. 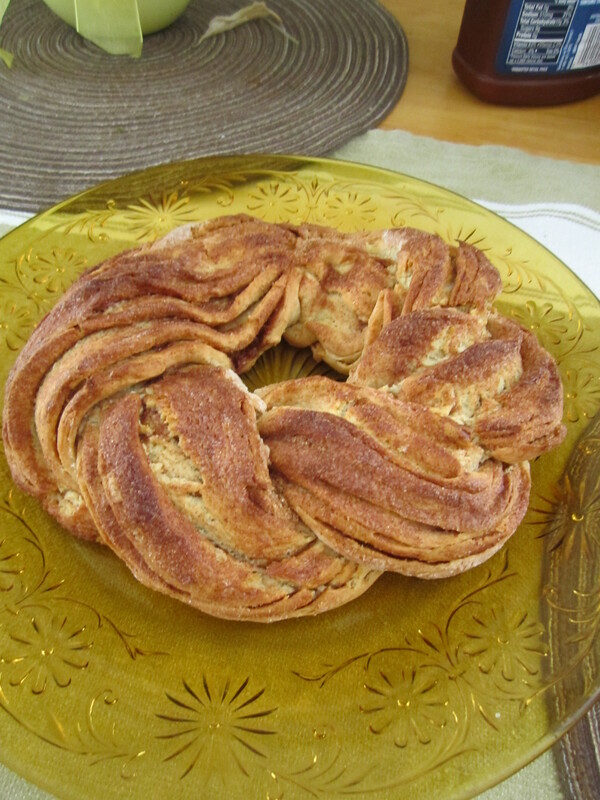 Spread the ¼ cup softened butter across dough round; then sprinkle the cinnamon and sugar. 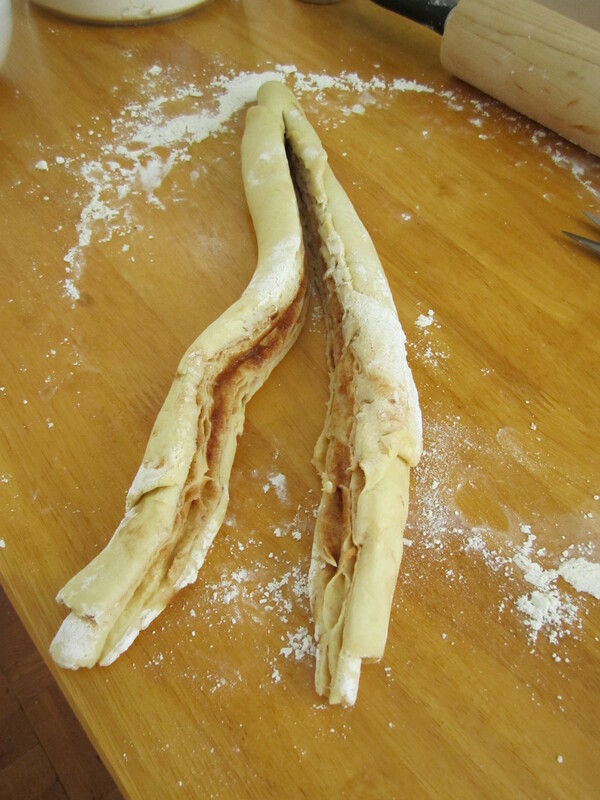 Roll up dough like a jelly roll; using a knife, cut log in half length-wise. Twist the two halves together, keeping the open layers exposed to the top. Pinch the ends together (forming a wreath-like shape), then transfer to a baking tray (buttered or covered with cookie sheet). Top with extra dollop of butter and sprinkle with more sugar and cinnamon mixture. Bake for 30 to 35 minutes – make sure to reduce temp to 350 degrees F after 5-10 minutes to ensure it won’t burn – or until the top is golden brown. Top finished cake with a simple glaze of confectioner’s sugar and milk, top with extra cinnamon sugar, or eat as is. And there you have it! As I mentioned earlier, I’d add a bit more butter to the mix, as well as that final glaze on top (maybe with some more cinnamon and a bit of nutmeg dashed into the mix). 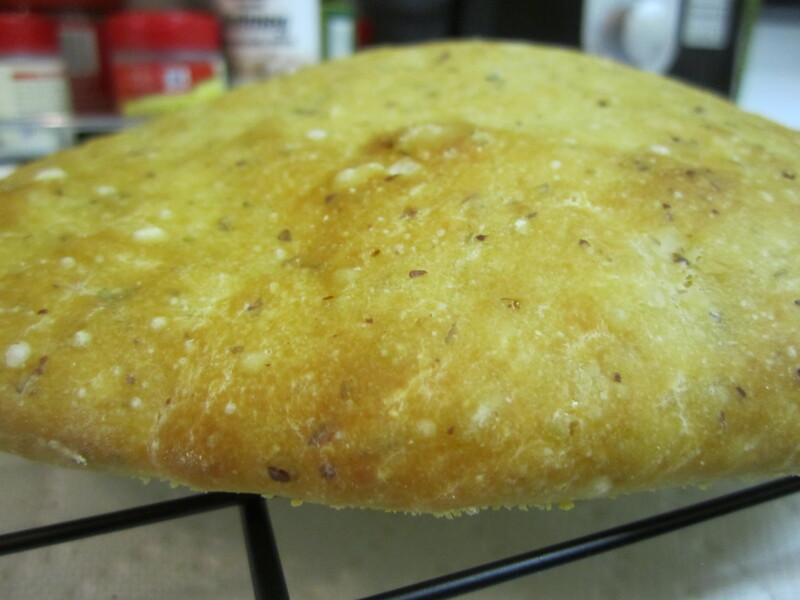 Happy Pinning — and doing / cooking / experimenting!